Customer Testimonials for AutoSport Co.
Don’t spend your money anywhere else but with Anthony and his team. Great cars, great prices and honest owners. Best place I have ever bought a car and buying my wife one very soon. Recently purchased a Subaru from autosport. Anthony is great to work with and made the whole process incredibly easy. My husband is currently deployed. 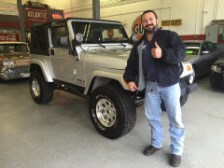 He needed a new truck for when he gets home and happened to find Auto Sport Co's website online. He was able to negotiate the whole deal over the Internet from 7,000 miles away. Alex and the rest of the staff were awesome - to say the least! It was a smooth transaction from start to finish. I would recommend them to anyone! I found my dream adventure car at AutoSports Co, a 2003 Subaru Forster. The only problem was that I lived in Minnesota not Pennsylvania and I was not sure how difficult it would be to purchase a car from another state. 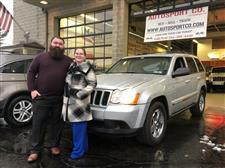 Fortunately for me the Anthony and Pam at AutoSports Co made it a smooth process for me. I am very happy with my new-to-me car and the service provided from this place! Thanks for making dreams come true. We love the BMW Convertible, Any future purchases we will definitely check your website and contact you!  I recently purchased a 2008 Mercedes - Benz E350 4Matic from Anthony at Autosport online site unseen only through photos and conversations with Anthony as I live in Colorado. I was very specific in what I was looking for and the condition had to be outstanding. I found it through Autosport. Anthony is friendly, helpful and honest . He arranged for transport and the purchase was very easeful with good communication. Awesome car and I would recommend Anthony to anyone. Thanks Anthony !
" Great to deal with, honest pricing! The process was quick and easy, they will have a repeat customer in me! " 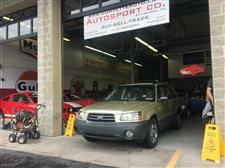 Literally the friendliest and most honest dealers out in the Pittsburgh area! So happy I got to buy my car from them! Definitely Highly recommend to all those who wants a buy a nice car! Thank you so much for all your help Terry, Anthony, and Pam! 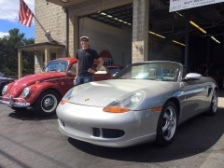 I had an excellent experience trading my Beetle for a Boxster. No pressure, no hassles. Excellent car buying experience. Since it was Saturday and it took an hour for the title to come in from Indiana, they even bought me lunch! On the ride home the check engine light came on. I called them back not expecting much help, but they offered to cover the fix. Luckily, my mechanic was able to reset the code and the car is fine. Just a dirty O2 sensor. 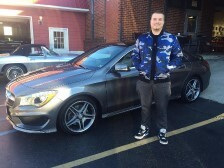 Excellent experience all around, gave me a great deal on a flawless Benz CLA250, I wouldn't hesitate to go back to them for future cars. Knowledgeable, fair, honest, and professional. Exactly how a dealer should be. Thank you! Whole experience was extremely down to earth and friendly. Place has really awesome cars and pricing! 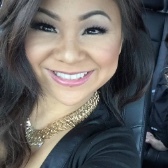 Anthony treated us like friends and the whole deal was smooth!! Definitely recommend! Thanks! 5 out of 5 stars! Great Service! 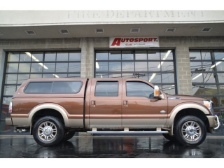 AutoSport in Indiana PA was a wonderful experience with purchasing a 2011 Ford King Ranch Diesel with 21,000 miles. 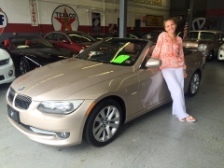 Alex Almes was a great salesperson who enjoyed spending time and answering all the questions that I had. I also enjoyed looking at all the Corvettes they have for sale. 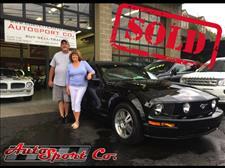 I Very highly recommend purchasing a vehicle off of Alex Almes at AutoSport in Indiana PA!! I bought a car from Autosport Corvette this summer. It wasn't a Corvette, but it has been a great car so far (I'm super happy with the car - 10,000 trouble free miles in 3 months, but that's neither here nor there. I can attribute that to the previous owners and the manufacturer.) Anthony was super great to work with. I was really on the fence about the car, because it had some cosmetic issues. I let him know about my concerns, and he gave me some space, then he called back in a few days and offered some possible resolutions. Ultimately, he ended up having the rear bumper repainted for me (and detailed to perfection - I guess the standards of a collector car dealer are a bit better than your average used car dealer), and wound up with a happy customer. Also, as a first time credit-user, who previously payed cash for my cars, they recommended a great credit union, who I will continue to use. Overall, a really great experience. I just bought a 2006 BMW M3 from AutoSport Co. I am from Maryland and I found the car online. Terry took my call on Superbowl Sunday and answered all of my questions. They were upfront and honest on everything about the car, both good and bad. We worked out the deal on the phone and I drove up the following day to get the car. Everything was as advertised and he let me take it to do a PPI at the location of my choice. Everything was smooth and he followed up after the sale to see how the ride back to Baltimore went (and it was great). I would do business here again and recommend to friends and family. I bought a 2006 Dodge 2500 Diesel off of Alex. The truck was in great shape and had low miles on it. I have had the truck for 6 months now and I haven't had any issues. I would recommend AutoSport to any one. Autosport fox chapel is the best! My husband and I purchased our 07 328xi bmw from them right before thanksgiving. Anthony and Terry were so great to deal with, they waited for us past closing time to come look at the car and again when we purchased it. They were so helpful with showing us how the car works! We love our car and will definitely be coming back in couple years to purchase another bmw! Thanks guys! I would like to thank Alex for helping me out when I had a few issues after my purchase. He stood behind the warranty like he said he would. I am happy with my purchase knowing I would be taken care of. This was the best car buying experience I have ever had. 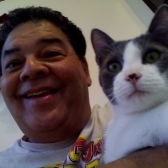 Everyone from the owner (Tom) to to the salesperson (Dave R.) does business in the most ethical way imaginable. They are fair, honest and responsive to the needs and questions of the buyer. 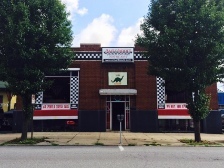 I am a business owner myself, and will recommend their establishment to anyone I know who is in the market for a Corvette or other collector car. The car I purchased looks and runs exactly as I was told it would, and the price was fair for the buyer and the seller alike. I am so glad to have come accross these folks, and it was well worth the 70+ mile drive for me to buy from them. I could not be happier with my purchase, and congratulate Autosport Company for being a great example of the way a business should be run. I bought a white 2005 Chevy Corvette off of Dave at AutoSport about a year and a half ago. They are a local dealership and I knew they always had nice Corvettes. I went down looking for a nice C6 and they had just what I wanted. 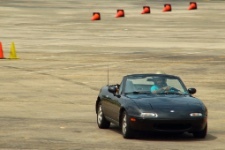 I am really enjoying the car and can’t wait to get it out this summer. I did a couple of performance mods to the car and it really runs and sounds awesome! They also do detailing down there and I get it detailed at least twice a year. I would recommend these guys to anyone looking for a nice Corvette! 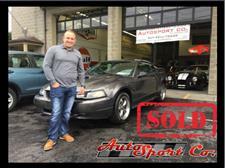 At AutoSport Co. we are proud of the quality used cars we sell and our dedication to serve the needs of our customers. This is reflected in the amount of repeat business we receive. Whether this is your first purchase with us or one of many that you’ve had, you can count on our dedicated sales staff to make it the best buying experience possible. I bought a Plow Vehicle from Alex last year and it has been running great ever since. I have been making money off of it and I am very happy with it! I would recommend AutoSport to any one looking for a vehicle. They are a great group of guys! I bought a 2011 Cadillac SRX AWD off of Alex about a year ago. The car was fully loaded with all the options. I have been really enjoying it and would recommend AutoSport to anyone. After searching online I was able to find the one they had. I went to there dealership and they had the car all cleaned up for me and ready to test drive. Everything check out on the SRX and we agreed on a price. They gave me a great deal on it! I did not feel pressured at there dealership and I would definitely recommend anyone looking for a nice vehicle to check out AutoSport! Alex and Dave and the whole AutoSport family are great to deal with!! 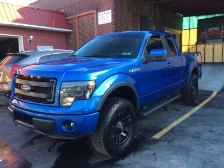 I bought a my 2013 Ford FX4 off of Alex, about 3 weeks ago. The truck looks and drives like it just came off the showroom floor. When I went to pick it up, they had all the paperwork waiting for me. I was in and out in less than 10 minutes. After doing the paper work, he spent sometime with me, showing me and setting up all the features (Bluetooth, door lock codes, Navigation, etc.). Obviously, the best part was the price. I had been looking for an FX4 for months when I found the AutoSport site, and Alex had my truck within the week. It was thousands cheaper than I had found anywhere else. In the future, AutoSport will be my first stop, when looking for my next vehicle. I purchased my 325xi BMW from Alex at AutoSport almost one year ago, and I couldn't be happier! It was a pleasure doing business with him; he was very helpful with getting me financed, as well as finding the right vehicle for me. Not only was he extremely professional, but he knew what he was doing, and made me feel comfortable throughout the whole process. Even his notary, Pam, helped me finalize everything, and made me feel like I was making the right choice. I would DEFINITELY recommend AutoSport to anyone looking to buy their next vehicle, I know I will be coming back!! 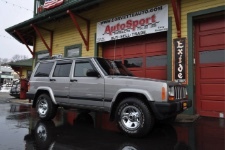 2 Months ago, I saw an add for a 2000 Jeep Cherokee Sport 4.0 with only 46,000 miles! Normally when you hear something like that it's to good to be true, but this time it was different, the pictures didn't lie. It's bin 2 months now & I LOVE IT!!!! The next time anyone I know needs a vehicle, I'm gonna tell them about Auto Sport in Indiana PA.